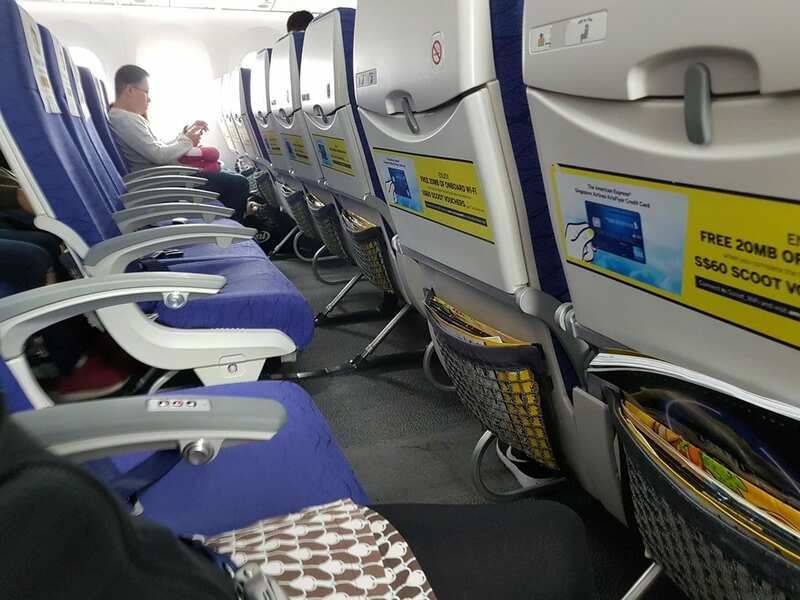 My experiences flying Scoot Athens to Singapore. What's a 150 Euro Scoot cheap flight from Athens to Singapore really like? 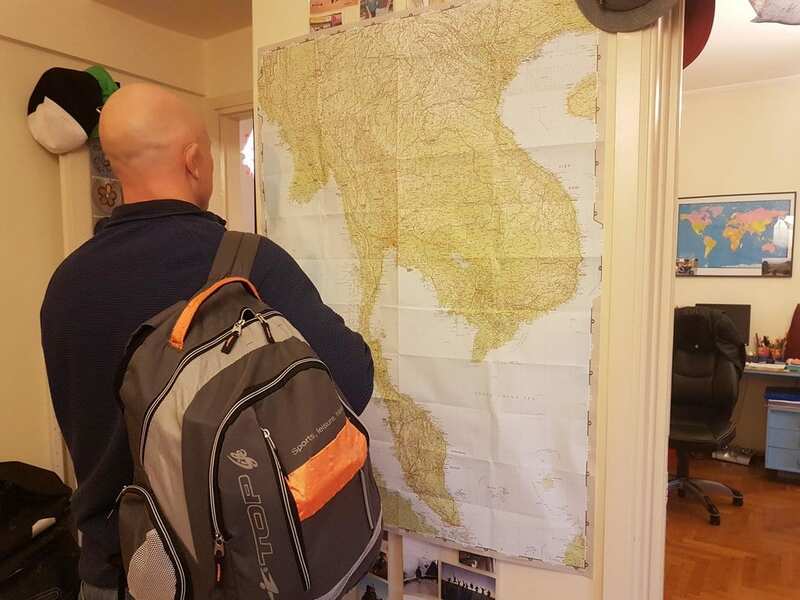 In November 2018, my girlfriend and I started out on a planned 5 month trip around South East Asia. Both budget travellers at heart, we love a bargain when we see one! 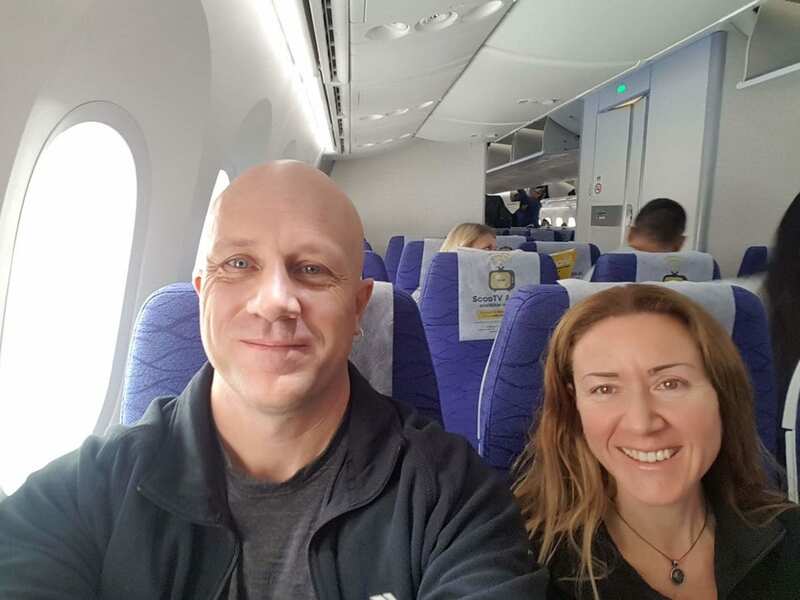 So, step one, was to find a reasonably cheap flight from Athens to Singapore or Bangkok – two of the main gateway cities for international flights. When looking for Athens to Singapore direct flights, there were a number of options available. We could take either direct flights or flights with a connection. We could use ‘well known' airlines, or lesser known budget airlines. As we are both budget travellers at heart, we thought it would be fun to check out some of the airlines that offered cheap flights from Athens to Singapore. After narrowing down, we finally settled on Flyscoot. Often referred to as Scoot Airlines, they are a popular budget airline within Asia. Over recent years though, they have started offering cheap flights from Singapore to Europe and vice versa. The Athens to Singapore route was one of these. The cost of the Scoot Athens to Singapore flight was cheap. Ridiculously cheap. We paid 150 euros each for the basic ticket in economy class, although we did decide to add on a few extras later. The extras we chose were priority boarding, and allocated seats. This added on approximately another 20 euros each to the flights, making the cost of a Flyscoot ticket from Athens to Singapore 170 Euros! (Note – in the end the priority boarding was not really needed so we probably wouldn't use that upgrade again). The question in the back of our minds though, was what would this flight to Singapore be like? Almost half a day spent on a budget aircraft is a long time, especially if it might be anything like a certain well known European budget airline! Still, it would all be part of the adventure! The flight to Singapore from Athens was scheduled to last for around 11.5 hours. That's a pretty long flight regardless of if it is a budget airline or not! That said, we decided to take this option rather than other options which could have involved a layover. We were well prepared in terms of books, movies, and snacks (more about the snacks later). Flyscoot have a pretty good website that is easy to use, along with an app you can download for your phone. They also offer regular deals which they send you notifications through via the app or email if you've signed up. As with most budget airlines, there are plenty of add-ons that can be applied to the cost of a basic ticket. There is something of a ‘do it now to get the best price' about it, but you can also add on extras after the initial flight booking has been made. Flyscoot also offer a business class ticket which they label as ScootBiz. I did consider taking the ScootBiz option from Athens to Singapore, as it still came in cheaper than most other airlines economy class! As it was my first time flying with Scoot though, I decided to stick with economy on this occasion. Maybe on the flight back from Singapore to Greece I'll treat myself! The basic booking means that you will be allocated a random seat on the plane. As I was travelling with my girlfriend, we decided to pay the extra in order to guarantee sitting next to one another. The seat up grade for our Flyscoot flight from Athens to Singapore came to 14 euros each. I'm not sure if the price varies from flight to flight, depending on duration etc. I normally choose to pay for a priority boarding with European airlines, as it guarantees my hand luggage space in the cabin rather than being placed in the hold. It also helps avoid the rugby scrum mentality when 200 people try to board a plane at the same time! Although I opted for it here, this upgrade was not really needed. There was plenty of space for everyone's cabin baggage, and the Scoot plane from Athens was boarded in sections. The thing with budget airlines, is that you really have to read into the baggage rules before you travel. Flying with Scoot from Athens to Singapore was no different, and we had to weigh up the pros and cons of paying extra Scoot baggage fees. In the end, we decided that it would be a good opportunity to practice a minimalism approach to travel! With this in mind, we made sure that everything fitted into our 10kg hand luggage allowance. The Flyscoot hand luggage allowance seems to have changed in the last year or so. A lot of information says it is 7kgs, but now, passengers are allowed to carry on 10Kgs in a maximum of two bags. The dimensions of a Scoot hand luggage bag are given at: 54cm (21.3in.) x 38cm (15in.) x 23cm (9in.) (total linear dimensions of 115cm/45.3in.). It's unclear as to if you could have two bags this size if it still came to 10kgs or not. As we were planning to travel for 5 months in Asia, we decided we'd stick with just hand luggage for this trip. And yes, we managed to squeeze everything we need into less than 10kgs! As mentioned, everyone's hand luggage fitted onto the Scoot plane easily. This is due to the larger plane type which has far more space. In fact, when it came to the plane, it didn't feel like being on a budget airline at all! After making our booking, we didn't really need to make any changes to our Scoot flight from Athens. The app and website would have made it easy to add extras if needed however. The website is pretty easy to navigate through, and prices may default to Singapore dollars depending on your browser settings. It's pretty easy to alter though. As with other online booking services, you might need to check if there is additional charges for different types of cards. Whilst Scoot offers an online check in, this is only possible at Singapore airport. When checking in at Athens, we had to go to the counter and check in there. Additional note – For a second Scoot flight from Singapore to Phuket, we were unable to check in online. This was either due to an app upgrade happening the same day, or because our documents needed to be checked. When we checked in for Scoot airlines in Athens airport, the counter was located at the furthest end (to the left) of the airport. I daresay this changes from flight to flight, but you can easily find out where you need to be by keeping an eye on the information screens. The check-in counter for FlyScoot opened 3 hours before the flight, and we got there pretty much around then. Either the flight wasn't full, or some were unaware of this, but we didn't have to queue at all. Despite having flown hundreds of times between us, there's still a residual anxiety when it comes to travelling with just cabin baggage. Would they weigh our bags? What would we do if the bags were to heavy? As it turned out, there was no cause for concern. Our hand baggage got no more than a cursory glance, and it had to be one of the quickest check-ins ever. Two minutes later, we had tickets in hand and rather a lot of time to play with in the airport! Note – We thought they might ask us for proof of a ‘ticket out' of Singapore, but this was not the case. We did have one anyway, but just thought I'd add that for other people travelling from Athens to Singapore on Scoot! The FlyScoot plane from Athens to Singapore was a Boeing Dreamliner 787. I'm sure if I knew a lot about planes I could tell you what the benefits of this are! As it is, the thing you probably need to know is that this flight has three rows of seat of three each. Apparently, the leg room of the standard seats is 30-31 inch, but I have no idea what this measurement means. I'm a reasonably big guy (6 foot), but I fitted in just fine, with my knees not touching the seat in front. I was also able to work on my laptop comfortably. I typed a lot of this article on the flight! Are you allowed to bring your own food on a Scoot flight? Technically speaking, you're not allowed to bring your own food onto a FlyScoot flight. Whilst on the plane, the people behind us were actually ‘gently reminded' about this. In reality, if you are subtle you can get away with it on this longer haul flight. I mean, don't bring a McDonald's on board, or or be obvious with a huge smorgasbord of snacks. Eat and drink a little at a time and you'll be fine like we were. 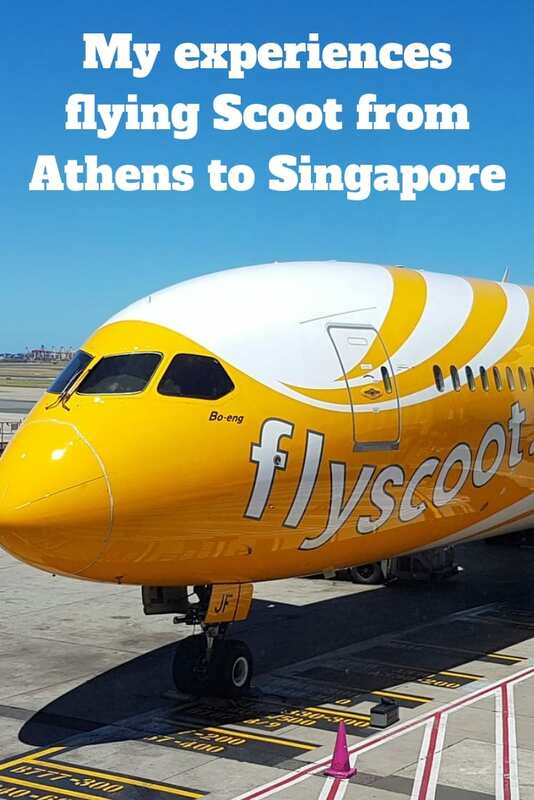 So, on to the review of the Athens to Singapore Scoot flight itself! To be honest, I thought I was going to end up with a lot to write about, because being a budget airline combined with such a long flight was bound to bring problems, right? Well, it just didn't turn out that way. Everything ran smoothly, from check in to the flight itself. 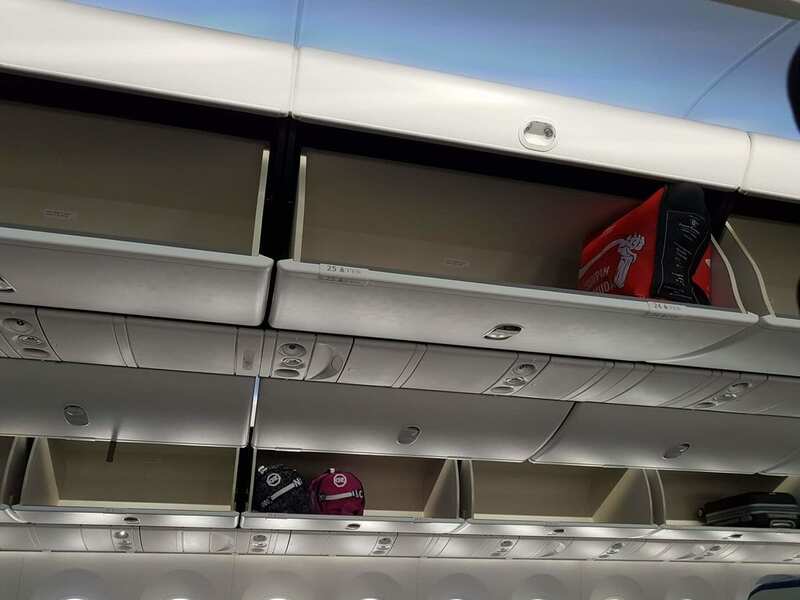 The Scoot air-attendants were friendly and polite, all the baggage fitted into the overhead lockers just fine, and the plane glided smoothly through the air. Which is all that matters on a flight, right? This budget route from Europe to Asia really opens up a world of possibilities for backpackers coming to the end of the good weather in Europe and looking to spend somewhere warmer for the winter. Any more questions about the Scoot flight? I've tried to write this Scoot Airlines review so as to preemptively answer any questions people might have who are thinking of taking the flight themselves. If you've got any questions about the Scoot flight from Athens to Singapore I've not covered, leave them below and I'll do my best to answer! Interested in visiting Singapore? Check out my 4 day itinerary for Singapore for inspiration! Please pin this Scoot flight review for later! Your review was very enlightening! I just wanted to ask about the meals during the flight. Didn’t they even serve any free drinks or something? And were you really comfortable after all these hours of flying in those seats, or would you rather buying the extra leg space? 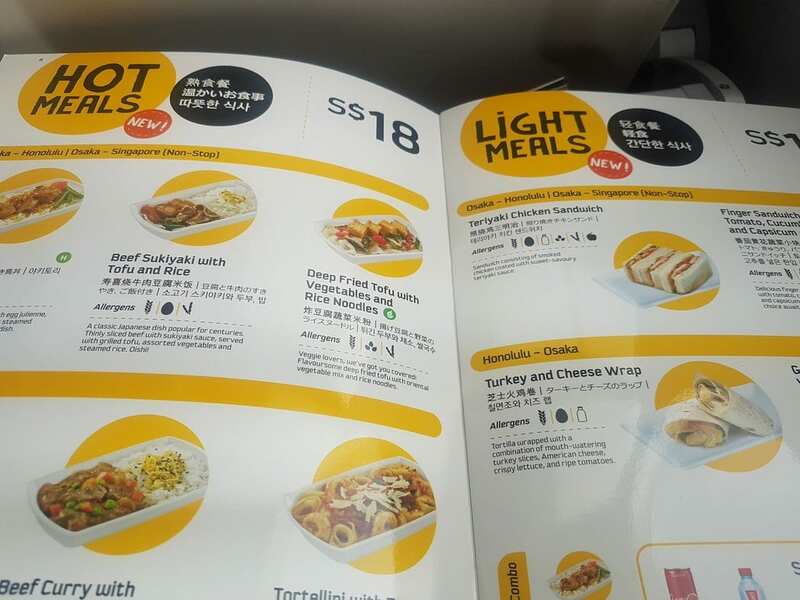 There’s no meals or drinks for free during the flight – think Ryanair but very long distance! I was actually pretty comfortable overall. I’m 1.82 height and there was enough room for my legs. Are we able to stopover in Singapore for a few days, then continue to Sydney? Sure, Singapore is a popular stopover destination. 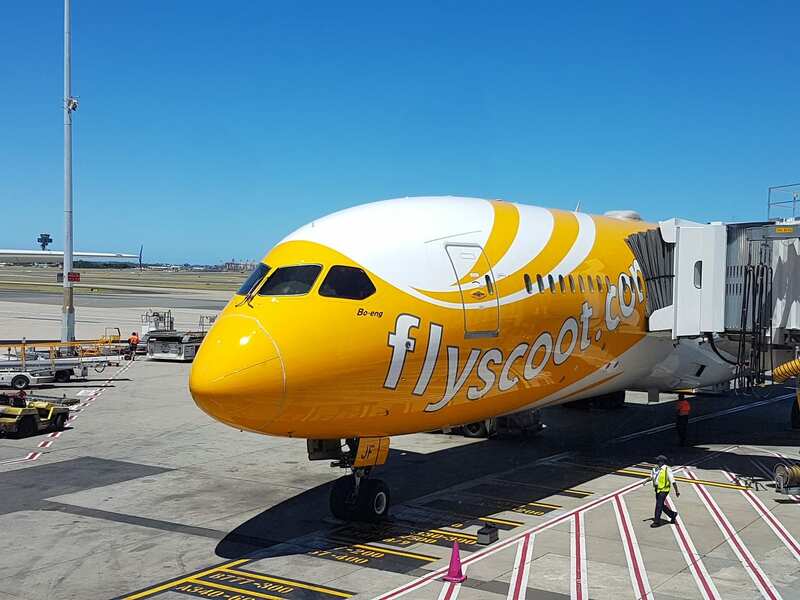 I believe there are also Scoot flights from Singapore to Sydney. Looking for things to do in Singapore? Check out my Singapore Sightseeing Itinerary! I have found it fantastic to be able to upgrade to Biz Class at the airport if there is seat availability for a reasonable extra fee. However just in case, we have paid for extra leg room in economy from Gold Coast to Singapore. 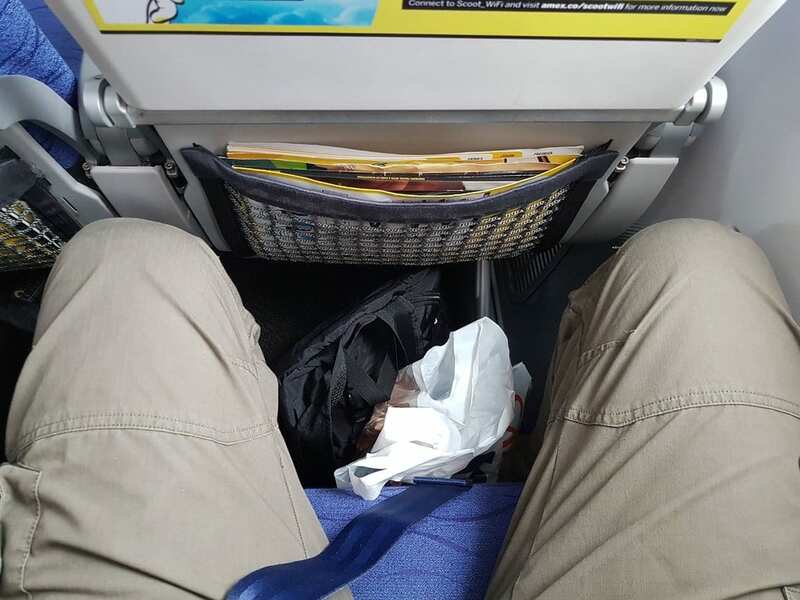 The extra leg room on the Scoot flight looked very spacious. I think I’ll use your idea to upgrade at the airport if we fly back from Singapore to Athens with Scoot. It can be a last minute treat! I also saw that there was some sort of bidding option for a seat, where you if you were the winner, you’d pay what you had offered. I only glanced at it though, so don’t take my word 100% on that one!! All my questions are answered, even the 7Kg hand luggage. Have a nice time where you go, I continue to Lombok. Glad it helped out a bit in terms of ease of mind! The flight’s a long one of course, but I found it quite comfortable all things considered. The jetlag at the other end though – that was a different story haha. Enjoy your time in Lombok! !